Wintertime is filled with magic that always makes me recall my childhood years and think of childhood as such. Childhood memories is also the theme of my new portrait project and you are welcome to become part of it! I will make several portraits of grownups – between 27 and 90+ years old – with their old toys or other objects bringing back their childhood memories. 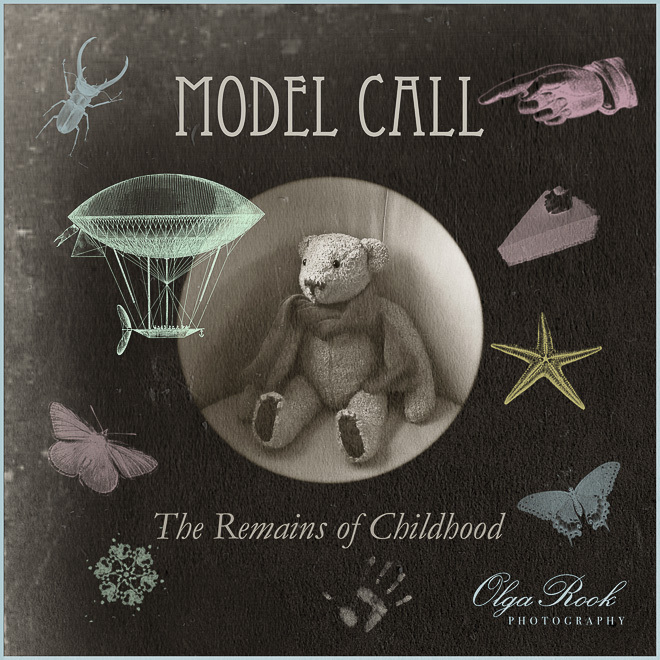 Do you want to be my model, share your childhood memories and receive a free portrait by me? Then email me why you want to model (perhaps you also have some story to tell) and don’t forget to attach a snapshot of yourself and your old toy/object. I will select ten persons for this project. To receive news, photography tips and model calls from me please subscribe on my homepage www.olgarook.com (at the bottom of the page). You’ll also get a free copy of eBook on portrait photography tips.